The Garden Route is a stretch of the south-eastern coast of South Africa. It extends from Mossel Bay in the Western Cape to the Storms River in the Eastern Cape. The name comes from the verdant and ecologically diverse vegetation encountered here and the numerous lagoons and lakes dotted along the coast. 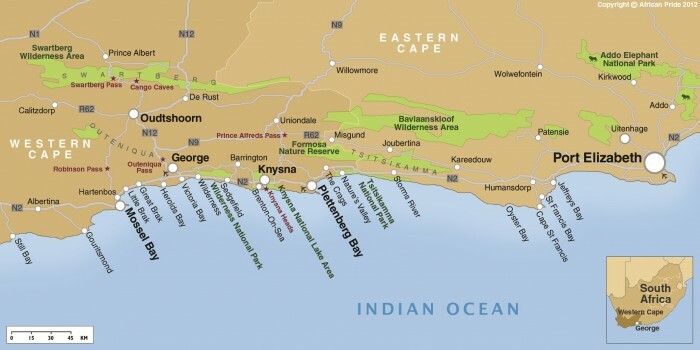 It includes towns such as Knysna, Plettenberg Bay and Nature’s Valley; with George, the Garden Route’s largest city and main administrative centre. We enjoy exploring global destinations but no matter where we go, South Africa is still the most beautiful country we have seen. The Garden Route is a fantastic route to drive and so much to offer. Our trip starts in Cape Town and we will stay in Knysna, Port Alfred, Port Shepstone and visit Hluhluwe before heading back to Cape Town. If you would like to sponsor this trip, please get in touch with us.